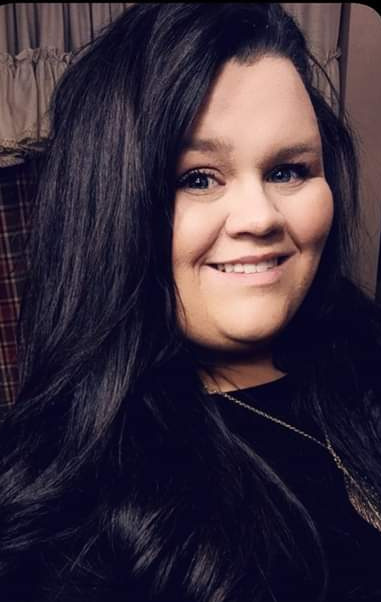 Lindsay Nicole Cooper, age 30 of Rutherfordton died Monday, March 18, 2019. Lindsay was born November 29, 1988 in Spartanburg County and worked as an Account Manager for Pure Country in Lynn, North Carolina. Lindsay was a graduate of Chase High School and a member of Liberty Baptist Church in Ellenboro. She was blessed with a beautiful singing voice and was always finding ways to encourage others. She was preceded in death by her father, John Mark Cooper who died in 2017, and her grandparents, John Harrill Cooper and Catherine Cooper. Survivors include her son, Kendrick, her mother, Lisa Smith Cooper, brother, Adam Cooper and wife Suzanne of Forest City, sister, Amanda Cooper Jarrell and husband Chance of Forest City, grandparents, Hayward and Kathie Smith of Green Creek, Jackie McCraw of Harris, and great-grandmother, Ernestine Beheler of Green Creek, as well as her nephews and niece whom she dearly loved, Brook, Cooper, Mason, Duncan, and Marlee Grace. The funeral service will be held at 2 o'clock Saturday, March 23, 2019 at Liberty Baptist Church with Reverend Dr. Mack Tester, Reverend Owen Duncan and Reverend Howie Lederfind officiating. Interment will follow in the church cemetery. Visitation will be from 4 until 7 PM Friday evening at The Padgett and King Mortuary. The friends of Lisa have established a "Support Lisa Cooper Fund" at Wells Fargo Bank, where donations may be made at any Wells Fargo Branch.